"As soon as you are out of the Brussels bubble, it's no issue whatsoever," she told EUobserver in an interview on Thursday (11 April). "Most people I talk to - they are not so keen on who is who in Brussels," said the Danish politician. 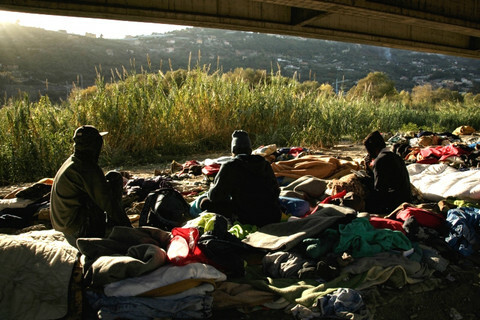 "They want to discuss: where would my children work if artificial intelligence would be a main part of how things are produced; what do we do with refugees; how to deal with illegal immigration? Most discussions are about real things and not about positions," she said. Her comments were in line with the stance of her political family, the Alliance of Liberals and Democrats for Europe party (Alde). 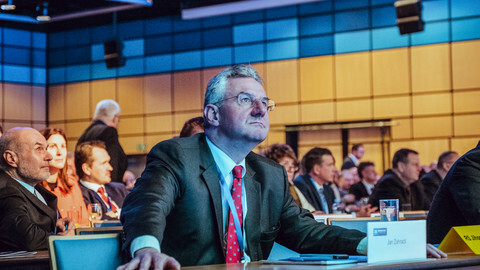 Instead of nominating a single so-called Spitzenkandidat, or pan-European lead candidate, to represent the party in the campaign ahead of next month's elections, Alde chose to present a campaign team. 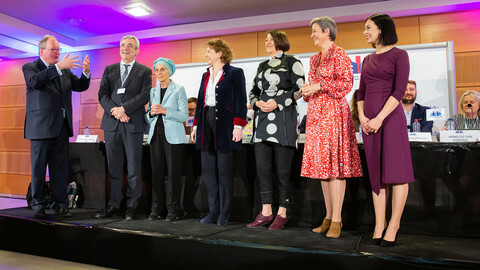 Vestager is one of the seven members of that team, alongside EU transport commissioner Violeta Bulc and the Alde group's current leader in the European Parliament, former Belgian prime minister Guy Verhofstadt. If the amount of attention given by journalists at the team's presentation last month in Brussels was a yardstick, Vestager is by far the most popular of the seven. But despite being part of the campaign team, no Dane - or any European for that matter - will be able to vote for Vestager. 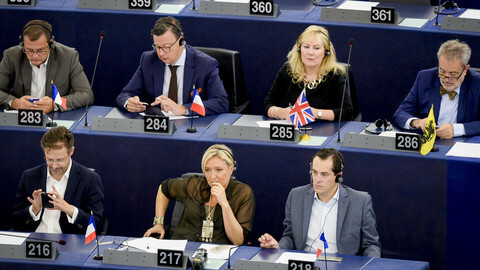 "This is because I don't wish to become an MEP," she said. "The Alde team is not about who is who in Brussels after the election. It's about the discussion about what direction should we take," she said. 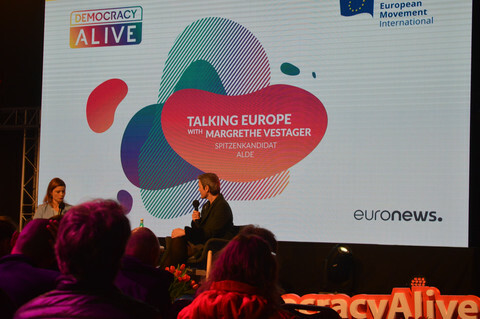 The day EUobserver spoke to her, Vestager was a guest at a new political festival, called Democracy Alive. 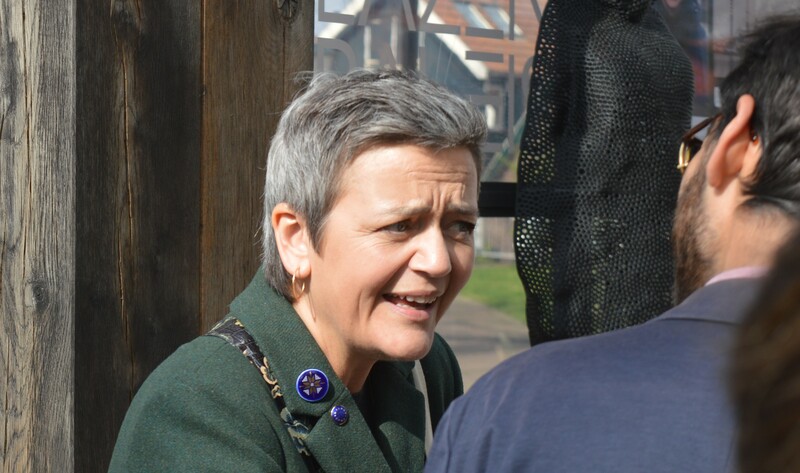 The festival was modelled on similar ones that have been held for years in Nordic countries - Danish commissioner Vestager is a regular at the Bornholm festival in Denmark. 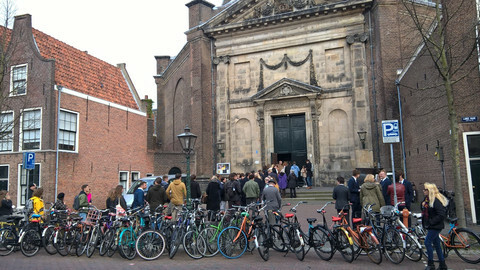 She strolled the new festival's site, which was held in a small town on a Dutch island, to speak to voters and activists, record video messages, and take selfies with fans. 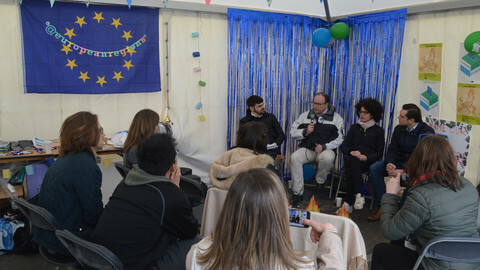 The idea of the Spitzenkandidat process was that the political family that managed to get most seats at the EU parliament elections and then a majority among MEPs, would then field the candidate for president of the EU commission. 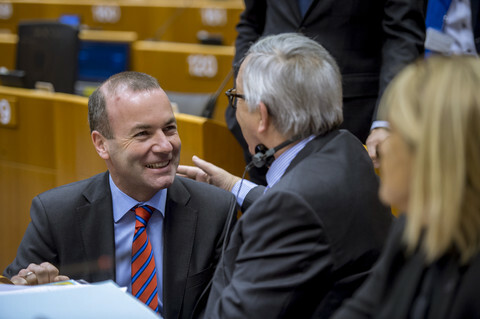 The current commission chief, Jean-Claude Juncker, was Spitzenkandidat for the centre-right European People's Party (EPP), which came out top in 2014. But Vestager poured scepticism on the Spitzenkandidat idea. "One of the problems of the Spitzenkandidat procedure is that part of it is fiction," she said. "Since we don't have transnational lists, only very few people can vote for [Frans] Timmermans as the Spitzenkandidat of the S&D or [Manfred] Weber as a Spitzenkandidat for the EPP," she said, referring to the Dutch and German politicians, respectively, heading up the rival lists. Vestager noted that only Dutch voters can vote directly for Timmermans and only German voters could have a say on Weber. "No one else can vote for them. I think very few people connect that voting social-democratic in Denmark is somehow a vote for Frans Timmermans," she said. She also stressed there was "a number of people who may be relevant [but] cannot run, because they may be prime ministers". Vestager did not name names, but Dutch Liberal prime minister Mark Rutte is often named as one of those potential prime ministers to become commission president - although he has repeatedly denied it. 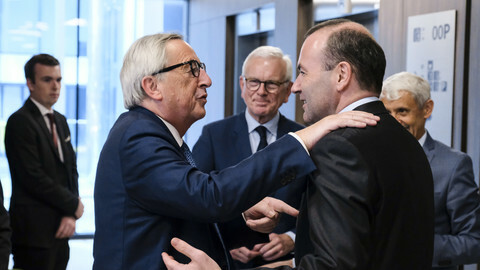 The Danish commissioner rallied against the idea that the outcome of the EU parliament elections should automatically determine who will succeed Juncker. She stressed that it was important the parliament and the member states represented in the European Council "truly co-decide". "I fully respect the parliament, but I think it is important that you have the same respect of member states," said Vestager. She acknowledged that if someone else instead of Juncker had been her boss for the past four and a half years, the commission would have been different. "People always matter. It is always a combination of what you do and who you are," she said. But at the same time, she stressed that the commission should be non-partisan. "For me it's very important that the commission is not party-political," she said. "One of the first things we did [after being picked to be a commissioner] was to take a bus and go to Luxembourg and I literally had my hand on the treaty, in front of 37 judges in red robes, to take the oath that I would take no instructions and seek no instructions, but protect and work for what is in the [EU] treaty," she noted. "There are of course also values and political choices made when the treaties they were written - but they are not party-political. They are not liberal, they are not conservative, they are not socialist," she said. "We have many governments in Europe, but we have only one commission, with the mandate to treat every member state equally and to do what we decided in the treaty," she added. But how does her view of a non-partisan commission square with Juncker's repeated statements that his administration was a "political commission"? "For me, that means that you are true to the political values of the treaty, but also that you make priorities," said Vestager. "No matter how few or how many resources you have, you cannot do everything," she added. Vestager said that working with priorities "is also a sort of politics". Despite the Danish commissioner's criticism of the Spitzenkandidaten process, and her pan-Euopean family focussing on the message rather than the people, she is seen by many as a candidate, and did well in a recent poll. An hour or so after the interview, Vestager was interviewed on stage at the festival. On the screen behind her was her name: "Margrethe Vestager, Spitzenkandidat ALDE".